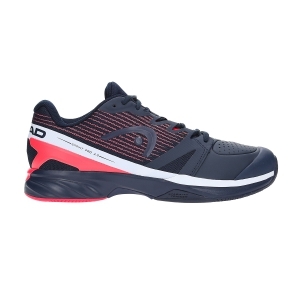 Choose your new men's tennis shoes among the hundreds of models available in the vast assortment online. If you love to lose yourself among hundreds of models before choosing your new men's tennis shoe, you're in the right place. In our department you will find the biggest offer of tennis shoes at the best price on the market and the best brands: Nike, Asics, Adidas, Wilson, Head, Babolat and many others. The details that distinguish a tennis shoe are of fundamental importance to obtain an excellent performance. Well-trained tennis players, who make speed their most effective weapon, must choose lightweight and agile tennis shoes when traveling. These models often have a low sole that guarantees a great feeling with the ground and ensures excellent control of movements. 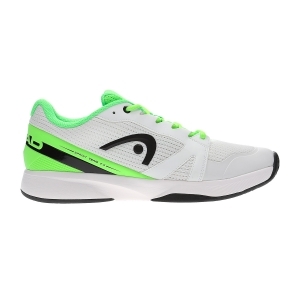 The tennis shoes designed for comfort are intended for powerful players who put great pressure on their feet. 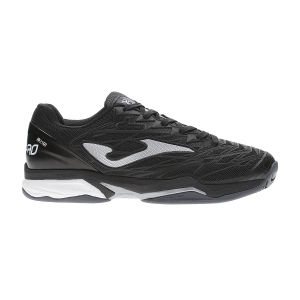 These are models that generally have a higher and shock absorbing sole, just to reduce impacts. 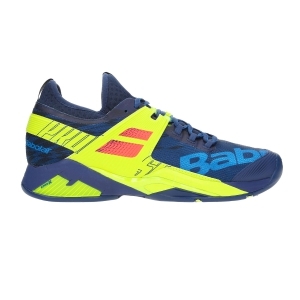 To play on clay courts it is necessary to wear shoes with "clay court" sole, which with their characteristic herringbone pattern prevent the accumulation of earth in the tread and allow to obtain the maximum traction in the fast movements and at the same time to slip without the risk of dangerous distortion. 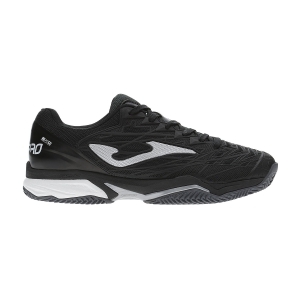 On the concrete fields it is advisable to use tennis shoes with "all court" multipurpose sole, with a fairly pronounced tread and rubber in resistant compound to guarantee a good grip and excellent durability. 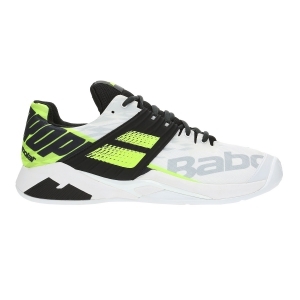 All the tennis shoes you see on the site are available in stock and ready to be shipped after a few hours. You will be surprised by the speed with which we process your order, delivering it to your home or to the address indicated by you in 3/4 days. You have two weeks to evaluate your new pair of tennis shoes and if they are not to your liking you can return it for free of charge within 14 days from the date of receipt and we'll refund you as soon as we get them back.